Clayton practices in the area of general litigation, with an emphasis on personal injury law. Personal injury is a broad legal field which covers many different types of accidents and “torts,” or civil (non-criminal) wrongs which cause harm or loss. Some of the most common case types involve automobile accidents, workplace accidents, and premises liability. We only want the best for our clients, and you can rely on us to do what it takes to win. Let us put our passion and experience to work for you. Call us today at (405) 235-1551. 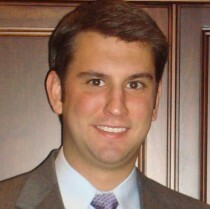 Clayton is admitted before all State Courts of Oklahoma and the Western District of Oklahoma.